The rating includes 30 airlines around the world. Specialists of the international organization of rating aviation service Skytrax has made a rating of 30 most neat airlines in the world. Led the list of Japanese All Nippon Airways. This is stated on the official website of the company. In second place is Taiwan’s EVA Air, and closes the three leaders of the Korean Asiana Airlines. Later in the TOP 10 included Singapore Airlines, Japan Airlines, Cathay Pacific Airways, Qatar Airways, Swiss International Air Lines, Hainan Airlines and Lufthansa. 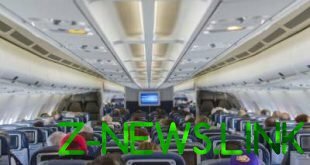 The rankings assessed the airline on a number of criteria, including cleanliness of toilets, tables, seats, carpets and panels for hand Luggage.